The album "resembles his older work," says the late artist’s son and producer. When Leonard Cohen passed away in 2016 at the age of 82, he left behind not only a huge hole in the music world, but also a collection of unfinished songs, according to his son and producer, Adam Cohen, who is working to complete them. A new album, he says, can be expected next year. "I was tasked with finishing a few more songs of his that we started together on the last album, so his voice is literally still in my life. It's a bizarre and delicious entanglement," Adam told q's Tom Power during a discussion about The Flame, a book of previously unpublished poems by his father, due out Oct. 2. "To make a long story short, I believe that there are some really beautiful new songs of Leonard Cohen that no one's heard that are at some point going to come out." 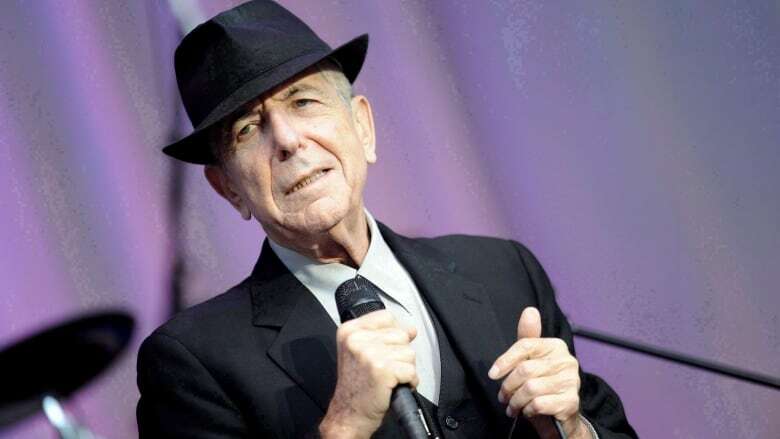 Adam, who also produced Leonard's last album, You Want it Darker, released just three weeks before his death, says that the breadth of the recorded poems is "extraordinary." He explains that, while they were making You Want it Darker, "I would implore him, even though I knew he was in a delicate state, I'd say, 'Dad, just read this, just read this poem to a metronome and we'll look at it later.' Some of my favourite poems of his are actually in the vault and I was tasked with finishing them." While You Want it Darker saw Cohen largely reflecting on death, Adam says the unreleased recordings are very different in tone. "What's also beautiful about them is that, unlike the the gravity and the nature [...] of You Want it Darker, these have a sort of more mytho-romantic [tone] that resembles his older work, something more romantic. So that's also more surprising." When asked if he finds working on his father's work daunting, Adam says it's "a luxury and a treat. … How wonderful that these songs exist, that I'm going to bring them and see them to completion, not just for me because I'm part of the family business, but for all the people out there who are going to hopefully delight in hearing his language, that inimitable contribution of his. You know, there are these songs that exist that he wanted finished, these incredible powerful readings that were set to music. … It's going to surprise and delight." To hear the rest of Power's chat with Adam Cohen, tune into Monday's episode of q. The Flame, a new collection of Leonard Cohen poetry, is out Oct. 2.